Hi, all! Please find below a regular development status report, this one covering the period from Mar 4 to Mar 17, 2019. Within this timeframe, we were strongly focused on games integration process, User Interface and Fiat Payments System evolution. 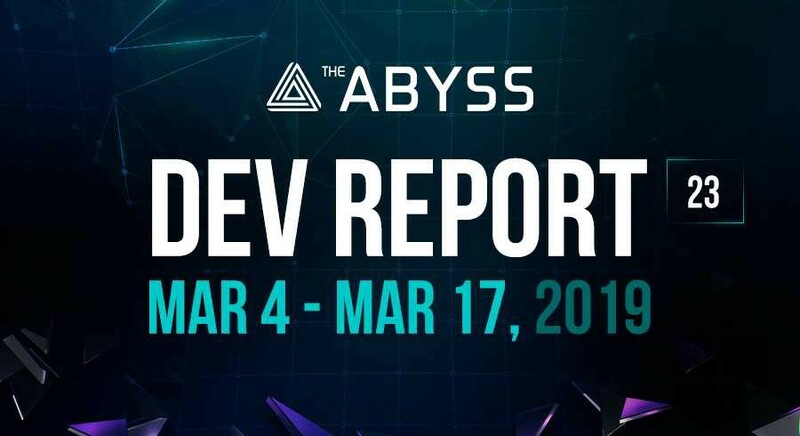 During the last two weeks, The Abyss development team worked closely with game developers who have started integrating their products with the platform. Following some of the feedbacks, we have improved and simplified the integration process. Signature (which is used in all S2S methods) changed and simplified. We continue working on adapting our User Interface for various mobile devices. While working on various screen resolutions support we have discovered that images are interpolated incorrectly on some of the devices. To resolve the problem we have implemented a dedicated high-quality image-resizing functionality on server side. The basic mechanism for front-end Unit-tests developed. The work on covering of front-end application with tests is carried out in the background and is currently about 30% complete. The mandatory email confirmation on registration removed to make The Abyss platform more user-friendly. The email confirmation is required only in cases when we need to make sure that the user provided a correct email address. WishList back-end development is completed. The development of front-end functionality started. Our analysts have studied the Developer’s Account implemented on numerous gaming platforms. 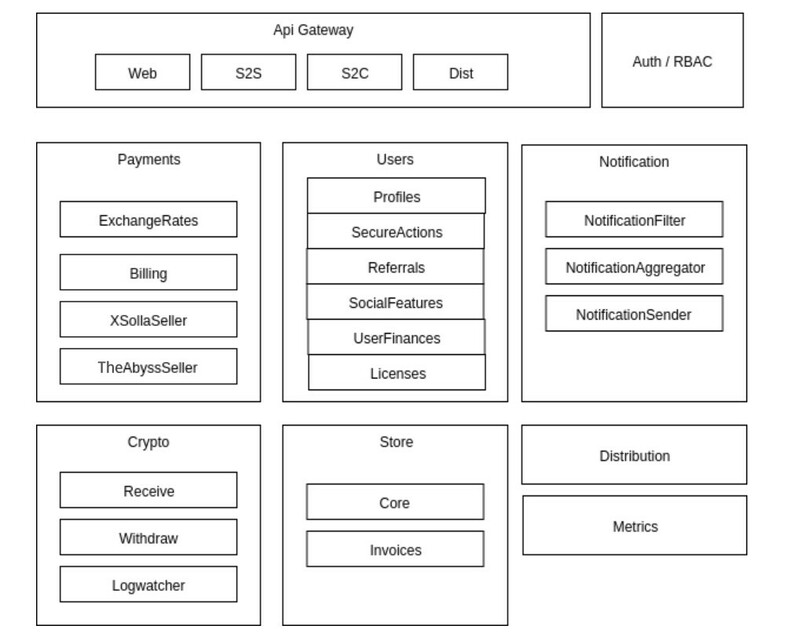 Following this analysis, we have created the concept of our Developer’s Account that allows to collect a series of important metrics and can be further scaled on the next stages of platform development. The functionality for client games installation and update successfully completed. We are now running a synthetic testing of “Download->Install->Update->Install->Play Game” scheme. Cash flow algorithm for tokens withdrawal. Furthermore, we have added new API methods for purchases with traditional currencies. The Abyss development team recently reinforced with Alexander Shishenko joining the project as new Head of Back-end development. Alexander has vast expertise in Python and C++ programming and industrial project development. Prior to joining The Abyss, he worked for IT giant Yandex. Alexander’s professional skills and enormous energy will boost platform development. Well, that’s it for today. The Abyss Team is working hard to deliver MVP soon. And we will keep you up to date with the development process twice per month, as previously. The next report is scheduled for April 1, 2019.